Many smallholder farmers in Burkina Faso operate on degraded lands with low-quality soil and inadequate rainfall. They’ve spent years learning how to grow food in these conditions. The practices they’ve refined can help boost farmers’ incomes, reduce food insecurity, and increase resilience to climate change. Climate Smart Agriculture refers to agricultural practices that help farmers adapt to and mitigate against a changing climate. Learn more about climate smart agriculture and resiliency. For example, Burkina Faso’s farmers dig small holes or planting pits (called zaï) on barren, degraded land and fill them with organic matter, adding nutrients to the soil where they sow their crops. They also construct stone lines (called contour bunds) on their farmland to slow down water runoff, prevent erosion, and assist in recharging the groundwater. These water-harvesting techniques have allowed farmers to restore completely degraded land to much higher levels of production. Since the mid-1980s, it is estimated that farmers have rehabilitated 200,000 to 300,000 hectares of quasi-unproductive lands, producing an additional 80,000 to 120,000 tons of cereals on their lands. These simple water-harvesting techniques have produced a co-benefit: an increase in the number and diversity of on-farm trees1. The manure, which farmers use in the planting pits, contains seeds of trees and bushes which were eaten by the livestock. Besides cereal crops, trees also grow in the pits and along the stone bunds. When farmers protect and manage these seedlings, new agroforestry systems emerge—a process known as “regreening.” These regenerated trees and bushes play a key role in restoring the productivity of degraded farmland and provide multiple benefits: fodder for livestock; fruit, firewood, and poles for construction; a more agricultural-friendly micro-climate; improved soil fertility; higher groundwater levels; and decreased soil erosion. In years of average rainfall, farmers implementing these practices have produced 1,000 kg of cereals on one hectare from lands that were previously barren 2. And, in years of poor rainfall, farmers who implement these practices are relatively better off than those who don’t. Despite the positive changes in the productivity of their land and in the lives of their families, much work needs to be done to ensure that climate-smart agriculture—like water harvesting and agroforestry—spreads throughout Burkina Faso. The country’s weak legal framework doesn’t protect farmers from the appropriation or destruction of their efforts, threatening the agricultural gains they’ve made thus far. 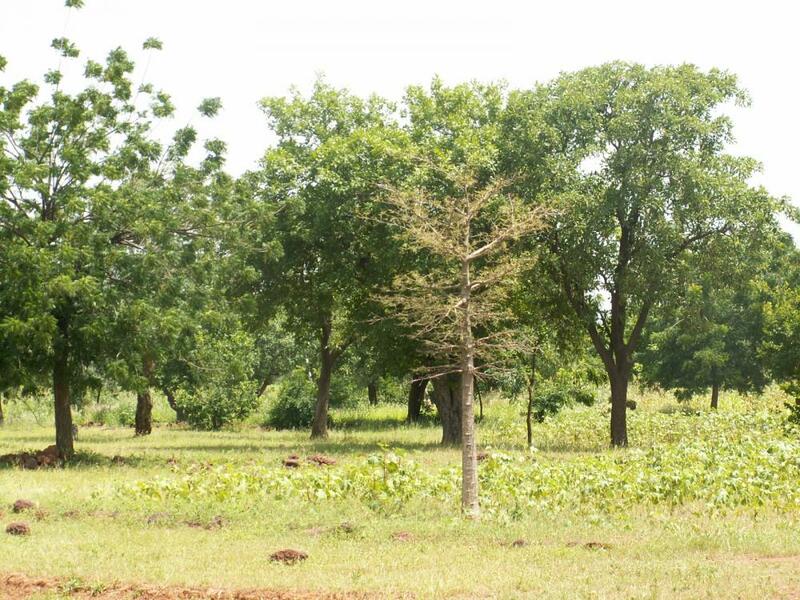 For example, farmers in Burkina Faso don’t have legal rights to the trees that grow on their property. Policy changes could provide for this ownership, allowing climate-smart agriculture to expand. The good news is that farmer innovators, government officials, research institutions, and NGOs in Burkina Faso are ready to make the next move. At the workshop earlier this year, participants had a chance to share experiences and reflect on the actions needed to scale up their successes. They agreed to take on the challenge by developing and implementing a national agroforestry strategy. We’ll be watching closely to see how this plan shapes up over the coming months. Farmers in Burkina have proven what works. Now it is time for national-level action to scale up local success stories. LEARN MORE: WRI and Réseau MARP Burkina will soon produce a working paper on scaling up re-greening successes in Burkina Faso and collaborate in mainstreaming the recommendations of the Burkina Faso workshop. In addition, an installment of the forthcoming 2013-2014 World Resources Report, Creating a Sustainable Food Future, will discuss improved land and water management practices to boost productivity on existing cropland, with a vignette on agricultural landscape restoration in Burkina Faso.